Ancient Aliens is a television series that presents hypothesis of ancient astronauts and suggests that archaeology, historical texts and legends contain evidence of human – extraterrestrial contact in the past. Episode 10 of Season 11 suggests the possibility that extraterrestrials influenced and altered the development of Neanderthals, Denisovans and Homo floresiensis. Throughout the rest of the documentary the narrator and collaborators in the show discuss the appearance and disappearance of the hobbits of Flores in Indonesia and the Denisovans in Russia and how aliens might have incubated these species and later eliminated them to leave room for our species. The documentary also suggests that space aliens help create the conditions that lead to sudden change in our evolution. Another interesting part of the documentary talks about the Basque population’s high concentration of Rh-negative blood this suggests alien intervention. This is because Rh-negative blood is incompatible with Rh-positive blood. George Noory says that Rh-negative people evolved from a different species. An unidentified submerged object, or USO, is any object or optical or mechanical detection phenomenon of unknown origin observed under water that remains unidentified even after thorough investigation. USO is also used to abbreviate United Services Organization. The maritime analog to UFOs; unidentified submerged objects are often seen by those who study unidentified flying objects as a related phenomenon (ufologists). Unidentified submerged objects are occasionally reputed to have flown into and out of bodies of water that are choked with heavy ice coverings as if the ice presents no barrier whatsoever. After these reports, large holes have been observed that do not appear marked by catastrophic impact. Some have proposed that these USOs possess the ability to melt ice at speed of transit. Examples of this have allegedly occurred in Norway, Sweden, and Russia, where these objects have been reported flying into and out of the water in the area. This is a personal favorite. In this documentary by Dr. Steven Greer, he explains that the earth has been visited by advanced interstellar civilizations that can travel through other dimensions faster than the speed of light, something we have not yet been able to do. These civilizations or beings use energy propulsion systems that have already been discovered by humans but have been suppressed by *those in power* to keep us in mercy of fossil fuels (non renewable resources). He also shares stories about the challenges he and his team have faced trying to keep these projects going and even talks about people who have been silenced so that word does not spread to the public about discoveries that could bring us to a new era. 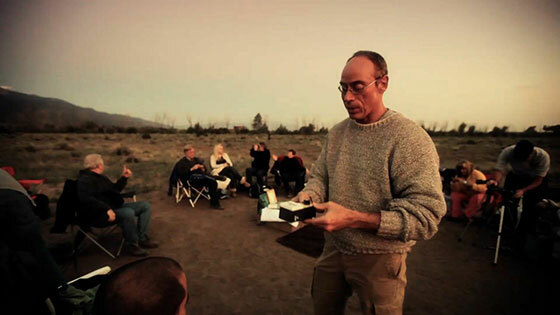 What I found most interesting among other aspects of this documentary is the fact that his team not only travels to UFO sighting locations and attempts to make contact with special equipment but that meditation is also incorporated into the process. It seems like this sets perfect ground for telepathy. These advanced civilizations are benevolent beings that mean no harm contrary to many conspiracy theories that seem to want to inject fear in our societies and “prepare” us for a war against aliens or something of that sort. We are not the only living species in the universe and just as we have managed to visit other planets and attempted communication, it is very possible that other living beings have done the same and continue to do so with humans. I hope you enjoy these documentaries and take them as food for thought. One thing is for sure, we know very little, even about our own evolution as a species. I find that very exciting as we begin to consider other methods of investigation in our search for answers. Next: Next post: The best makeup app ever!